The need for qualified professionals will increase in response to the growth in the healthcare system. Certified Nursing Assistant classes will not only prepare you for a career in healthcare in the fastest time possible but also help you make a difference in the lives of others. CNA training also paves the way for continuing studies in healthcare. Nurse aides form a vital part of residents’ daily activities, restoration, and recovery. Through the application of the knowledge and competencies gained in training, they attend the patients’ physical and emotional needs and collaborate with members of the healthcare team to aid recovery. Since they spend more time with patients than other health care providers, they are ideally positioned to detect changes in their condition. Typical duties include taking vital signs, assisting with routine activities such as grooming, bathing, toileting, and meals, assisting with medical treatments, making beds and tidying rooms, emptying bedpans, and responding to calls for help. Certification is essential for practice in a long-term care facility. After completing the CNA class, the graduate must complete a state competency exam to be added to the Nurse Aide Registry. Employment for CNAs is expected to grow 11% from 2016 to 2026. Although the majority of CNAs are female, there’s a demand for male nurse aides to care for male patients. The nursing assistant program at Arlington Career Institute prepares students for an entry-level position as a nursing assistant. 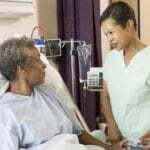 Adults learn how to provide basic patient care under the supervision of a licensed nurse in a long-term care facility. Students will complete the theory component on campus, and the clinical experience will be conducted in residential care facilities. The curriculum covers a total of 100 clock hours: 48 lecture hours, 12 lab hours, and 40 externship hours. Course topics include the role of the N.A., emergency measures, communication and interpersonal skills, restorative services, structures and functions of the human body, body mechanics, patient grooming, hydration, nutrition, and elimination needs of patients. Other topics include basic nursing skills, CPR, observing and reporting, death and dying, active listening, conflict resolution, and addressing inappropriate behaviors in patients. Day and evening classes are available. The day class is designed to be completed in five weeks. The duration of the evening program is six weeks. The tuition includes expenses for books, scrubs, and state testing. A flexible payment plan is available for all students. The nursing assistant program at Teamwork Career Institute prepares students to meet the demands for long-term care providers. 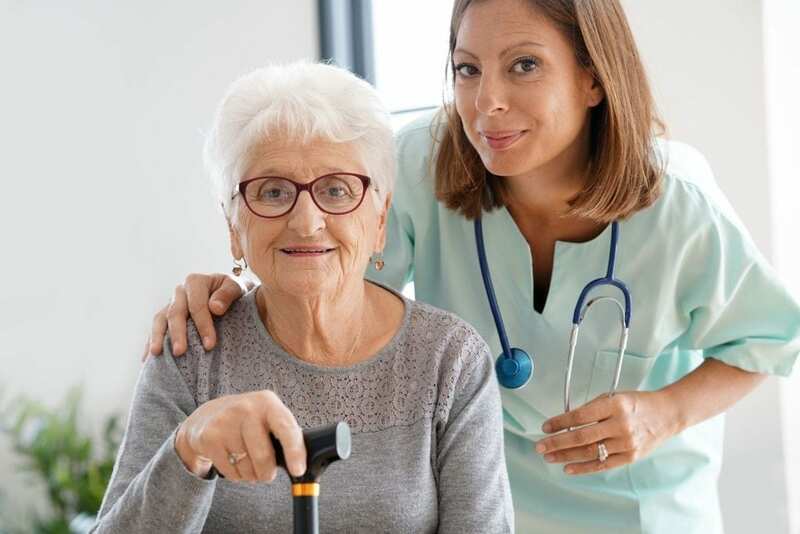 The Texas Department of Aging & Disability Services (TDADS) approved program includes classroom lecture, lab practice, and a clinical externship to prepare students for success on the Nurse Aide Certification exam. In the classroom, students will learn how to measure and record vital signs, communicate effectively with patients and members of the healthcare team, observe patients and report concerns to nurses or other supervising personnel, promote the rights of residents, ensure patient safety, participate in restorative treatments, assist patients with personal grooming and mobility, serve meals, and measure fluid intake and output. CPR training will be provided during the program. During the clinical experience in a long-term care facility, students will apply the skills gained in the classroom in a real-life environment. Students must complete all scheduled class hours and courses with a minimum grade C to receive a certificate of completion. Tuition for the program is $750. The nursing assistant program at Springpack Institute prepares adults for a career in healthcare. The curriculum includes 60 hours in the classroom and 40 hours at a clinical site. CPR training is optional. Course topics include human anatomy and physiology, basic nursing skills, restorative services, personal grooming, patient transfers, safety in care, vital signs, observation and recording, infection control, the role and responsibility of the nurse aide, and death and dying. Day, evening, and weekend classes are available. The duration of the day class is two weeks. The evening class is three weeks. The weekend class is four weeks. Proof of high school completion or GED or take an on-site evaluation. The cost of the admission’s test if $20. Tuition for the program is $599. Registration costs $50. The optional CPR training costs $40. The cost of books, state exam, uniform, and entrance test is not included in the tuition. A payment plan is available for all students. The Nursing Assistant program at the School for Allied Health Professionals provides students with the skills to care for residents in long-term care facilities. The course content covers basic nursing skills, mental health, personal care skills, residents’ rights, social service needs, restorative services, basic first aid, nutrition, meal planning, care for convalescing patients, vital signs, and infection control. In addition to classroom lectures, students will apply their knowledge and skills in a long-term care facility under the direction of a licensed nurse. Graduates will receive a certificate of completion and will be eligible to sit the State Competency Exam for certification as a nursing assistant. Classes meet Monday through Thursday from 11:00 am to 4:00 pm. Tuition, registration, books, tools, and fees cost $788.